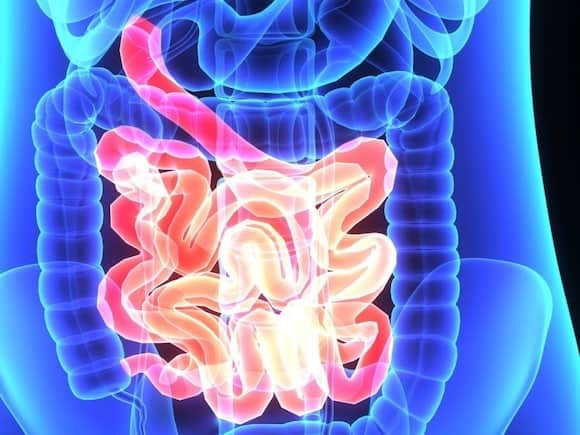 Thomas F. Imperiale, M.D., from the Indiana University School of Medicine in Indianapolis, and colleagues summarized the performance characteristics of FITs for CRC and advanced adenomas in average-risk individuals undergoing screening colonoscopy. Thirty-one studies were included with 120,255 participants and 18 FITs. The researchers found that performance characteristics were dependent on the threshold for a positive result. A threshold of 10 µg/g resulted in sensitivity of 0.91 and a negative likelihood ratio of 0.10 for CRC, while a specificity of 0.95 and positive likelihood ratio of 15.49 were seen at a threshold of greater than 20 µg/g. Sensitivity was 0.40 and the negative likelihood was 0.67 for advanced adenomas at 10 µg/g, while specificity and the positive likelihood ratio were 0.95 and 5.86 at greater than 20 µg/g. Depending on the threshold, studies had low to high heterogeneity. The sensitivity and specificity for CRC for one qualitative FIT were 0.90 and 0.91, respectively, at its single threshold of 10 µg/g, with positive and negative likelihood ratios of 10.13 and 0.11, respectively; several FITs had adequate performance. “The findings suggest that FITs may be highly sensitive for CRC in a single application, though at the expense of a high false-positive rate,” the authors write.